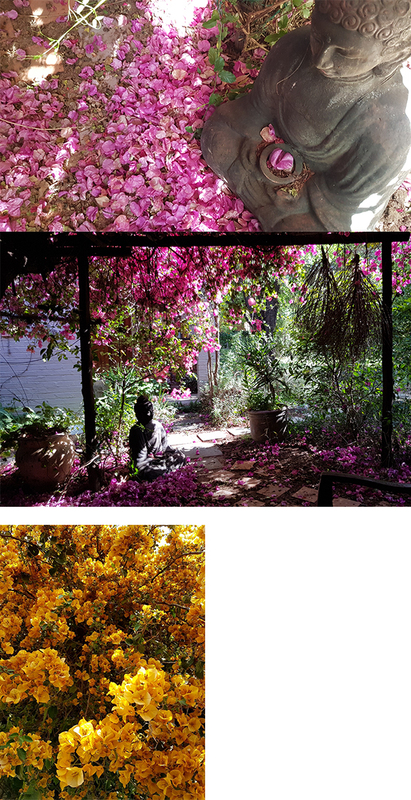 I’s early summer and the bougainvillea is just awesome. Everywhere you go it appears in the most vibrant of colours. My brother has this yellow/golden bougainvillea that is breathtaking. In my own garden the cerise is so intense that it is tinting the walls pink, inside and out, and adds a blush to your skin as you pass by. The confetti of fallen petals has collected on the garden floor and has created a soft carpet. Very pretty.